Pollock AM. PFI is crippling the NHS. The Guardian 2012. Pollock AM. 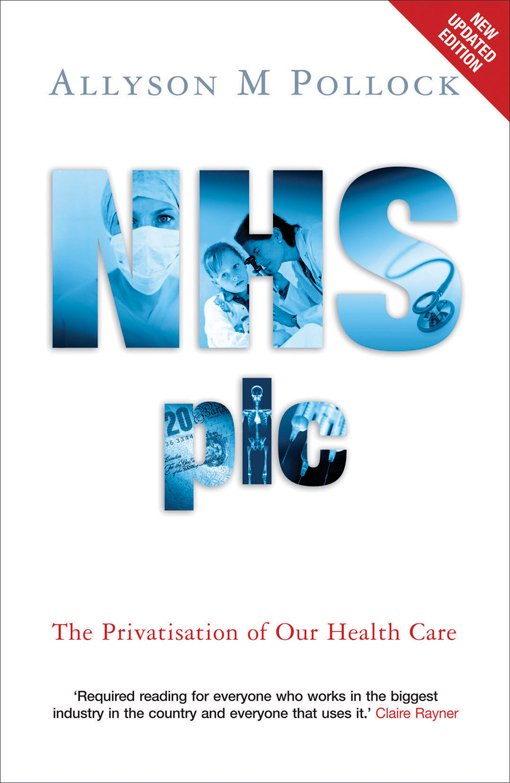 NHS plc: the privatisation of our health care. 2nd ed. London: Verso 2005. Rowland D, Pollock AM. Credit where it’s due? Public Finance 2002:26–7. Pollock AM. Under the knife of private finance. Punch. 2001:10–1. Pollock AM, Price D, Dunnigan M. Kidderminster’s unkindest cuts. Public Finance 2000:28–30. Pollock AM, Price D, Dunnigan M. The real cost of PFI in Worcester. Public Finance 2000:26. Pollock AM, Vickers N. Private pie in the sky. Public Finance 2000:22–3. Pollock AM, Gaffney D. The private cost of public health. Health Review 1999:20–1. Gaffney D, Pollock AM. Has the NHS returned to strategic planning? The CPAG and the second wave of PFI. London: UNISON 1998. Gaffney D, Pollock AM. Putting a price on the PFI: the illusionist economics of the Private Finance Initiative. London: UNISON 1998. Pollock AM, Gaffney D, Dunnigan M, et al. Time to strip the beds. Health Service Journal 1997:30–4. Gaffney D, Pollock AM. Can the NHS afford the Private Finance Initiative? London: BMA 1997.